Start off your visit on the 27th (Sat): steep yourself in history at Netsunoyu, then take an in-depth tour of Jukambo National Museum, then indulge in Japan's hot spring tradition at some of the top local onsens, and finally take your sightseeing to a higher altitude at Mt. Kusatsu-Shirane. 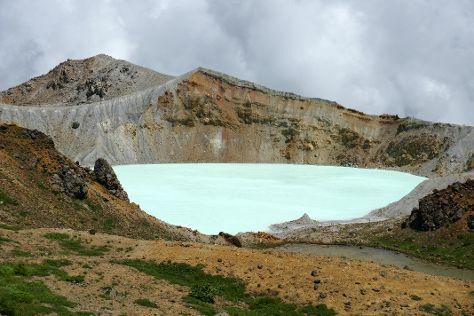 For ratings, more things to do, photos, and tourist information, read Kusatsu-machi trip planner . If you are flying in from Philippines, the closest major airports are Tokyo Haneda International Airport, Toyama Airport and Niigata Airport. In April in Kusatsu-machi, expect temperatures between 19°C during the day and 10°C at night. Wrap up your sightseeing on the 27th (Sat) to allow time to travel back home.